I recently wasted about two days to bring up a simple site-to-site IPsec VPN tunnel between a Cisco ASA and Cisco FTD and a Linux machine running strongSwan and using digital certificates to authenticate the peers. The configuration was simple but due to a little “detail” and to a lack of good debugging information on the Cisco ASA/FTD, what should have been a five-minute job ended up taking a couple of days of troubleshooting, looking at the strongSwan source code, and making configuration changes to try to make it work. In the end I was able to bring up the tunnel and I got to the bottom of what the Cisco ASA/FTD was not liking from what strongSwan was sending. I will document here the configurations, and finally, at the end, will show what the Cisco ASA/FTD was choking on. Note that the FTD configuration is very similar, but it has to be performed via the Firepower Management Center (FMC) GUI. 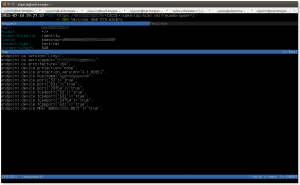 In fact, after doing the configuration via FMC one can log into the FTD CLI using SSH and run the command “show running-config” and see the same configuration shown above for the ASA. rightid="C=US, ST=CA, L=SF, O=Acme, OU=CSS, CN=asa, E=admin@example.com"
swanctl.conf is a new configuration file that is used by the swanctl(8) tool to load configurations and credentials into the strongSwan IKE daemon. 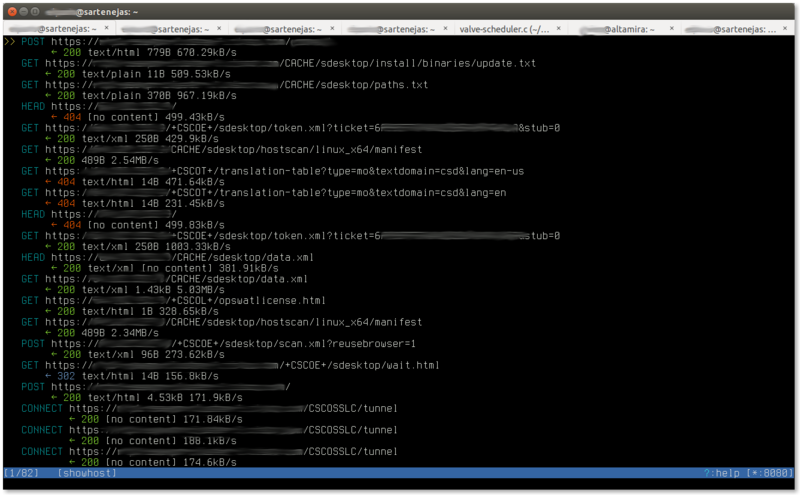 This is the “new” way to configure the strongSwan IPsec subsystem. The configuration file syntax is very different, though the parameters that need to be set to be able to bring up the IPsec tunnel are the same as in the case of the ipsec.conf-based configuration. # Section for an IKE connection named . # IKE major version to use for connection. # Remote address(es) to use for IKE communication, comma separated. # Section for a local authentication round. # Local traffic selectors to include in CHILD_SA. # Remote selectors to include in CHILD_SA. # Private key decryption passphrase for a key in the private folder. # Value of decryption passphrase for private key. # Section defining attributes of certification authorities. # Section defining a certification authority with a unique name. # CA certificate belonging to the certification authority. # Comma-separated list of CRL distribution points. To bring up the tunnel when “interesting” traffic is received it is necessary to use the “start_action” configuration parameter. Otherwise the IPsec tunnel has to be brought up manually using the swanctl –initiate xxxxx command. # Section for an IKE connection named <conn>. There were three serious issues that I ran into when trying to bring up the site to site tunnel. All of them appear to be bugs. In this issue the Cisco ASA/FTD is apparently unable to parse a downloaded CRL when a Cisco WSA proxy server is transparently in the middle. The Cisco WSA is returning the file to the Cisco ASA/FTD but the ASA apparently does not like something in the HTTP headers (the “Via” header? I don’t know). There is nothing wrong with the CRL itself — I performed a packet capture on the ASA itself, extracted the CRL file from the packet capture, and it is not corrupted or anything. In fact, I have seen the revocation check work sometimes; I believe the problem occurs when the CRL is present in the WSA’s cache, which would explain why it works sometimes. 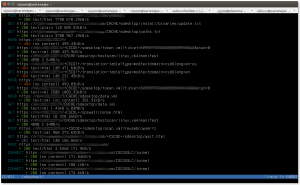 I configured the web server hosting the CRL to prevent caching of the file but the problem still persists. Workaround for this problem: Configure the ASA to fallback to no revocation check, i.e. [IKE] received end entity cert ""
[CFG]   using trusted ca certificate ""
[CFG] checking certificate status of ""
[CFG]   using trusted certificate ""
[CFG]   crl correctly signed by ""
This one was very difficult to troubleshoot. It might be a bug on the strongSwan side but I am not sure. The issue is that, depending on configuration, strongSwan will use as IKEv2 identity to send to the Cisco ASA/FTD a Distinguished Name (DN) in binary ASN.1 encoding, but when it creates this binary ASN.1 encoding it will use the type “PRINTABLESTRING” instead of “UTF8STRING” to represent fields like Country, stateOrProvince, localityName, organizationName, commonName, etc. The IKEv2 identity is otherwise identical to the identity that strongSwan would obtain directly from the certificate. As can be seen, the state machine goes from I_WAIT_AUTH (wait for authentication payload) to I_PROC_AUTH (process authentication payload), receives an “EV_PROC_MSG” (process message event), and then goes back to the I_WAIT_AUTH state with a retransmit (EV_RE_XMT) event. There is not explanation or message that indicates why process the IKEv2 identity failed. Notice that after the EV_PROC_MSG event there is no re-transmit event — in the logs I could see that eventually (after checking revocation of the certificate, etc.) the state machine leaves the I_PROC_AUTH state and the connection finally establishes. The strongSwan configuration that caused the above problem was specifying “leftid” in /etc/ipsec.conf, i.e. leftid="C=US, ST=CA, L=SF, O=Acme, OU=CSS, CN=myid, E=admin@example.com"
If leftid is removed, and strongSwan is left to automatically detect the identity to send to the Cisco ASA/FTD then the problem does not occur. I think it is because it does not create the ID from scratch but instead extracts it from the identity certificate. Workaround for this issue: Do not use leftid and let strongSwan figure out the IKEv2 ID that it needs to present to the Cisco ASA/FTD. As can be seen, the TSi payload contains multiple Traffic Selectors (one for 10.123.1.0/24 and another one for 10.10.0.0/16). This is based on the strongSwan configuration “local_ts = 10.123.1.0/24, 10.10.0.0/16”. The idea is that the IPsec gateway that strongSwan is talking to should create IPsec Security Associations (SAs) for 10.123.1.0/24 <-> 10.123.0.0 and for 10.10.0.0/16 <-> 10.123.0.0. A workaround has been proposed here. The workaround consists of creating multiple connections, one for each protect netowrk, instead of one connection with multiple protected networks. A site-to-site IPsec-based VPN tunnel between Cisco ASA/FTD and strongSwan running on Linux and using certificates for authentication comes up just fine but I ran into the three issues described above. All issues have reasonable workarounds. They are probably bugs that I’ll try to report to the respective parties. Running an SSL-enabled website is a best practice but often made difficult by the fact that one needs a Private Key Infrastructure (PKI) to obtain the SSL certificates needed for SSL operation. There are two options for using a PKI: 1. Deploy your own PKI, and 2. Use a public PKI. The former is cheap (free) but has a steeper learning curve because one needs to know how to set up the Certification Authority (CA) server software and how to manage the PKI (generate Certificate Signing Requests [CSRs], sign certificates, revoke certificates, deploy the root CA certificate to endusers’ devices, etc.). The latter can be non-free but is easier as the PKI is already established and one only needs to request a certificate, sometimes for a price. The Let’s Encrypt project is “[…] a free, automated, and open certificate authority (CA), run for the public’s benefit. It is a service provided by the Internet Security Research Group (ISRG).” See https://letsencrypt.org/about/ for additional details about the Let’s Encrypt project. Two important details about certificates issued by the Let’s Encrypt project is that: 1. They are free, and 2. Browsers trust the CA that issues them, so there is no need to distribute CA root certificates to endusers’ devices. We run Apache on Ubuntu so the first thing we had to do was to install an ACME client (ACME is a protocol used to fetch certificates). The ACME client recommended by the Let’s Encrypt project is called Certbot. According to the Certbot’s website, “Certbot is an easy-to-use automatic client that fetches and deploys SSL/TLS certificates for your webserver. Certbot was developed by EFF and others as a client for Let’s Encrypt and was previously known as “the official Let’s Encrypt client” or “the Let’s Encrypt Python client.” Certbot will also work with any other CAs that support the ACME protocol”. Using the webroot path /usr/share/wordpress for all unmatched domains. Note that I had previously requested a certificate for www.domain1.net, and when I ran Certbot I requested a new domain to be listed in the certificate (www.domain2.com). Certbot noticed that I had previously requested a certificate for www.domain1.net and asked me if I wanted to expand the certificate to include the new domain. As mentioned in the output from the certbot, the certificates (identity certificate for the website as well as the CA certificate) are left in the /etc/letsencrypt/live/www.domain1.net directory. At this point one just has to configure Apache to use these certificates. The first step is to go to the “Devices and Printers” control panel. There one has to click on the “Add Printer” link at the top (also available in the right-click menu). In the dialog window that follows, select “Add a network, wireless, or Bluetooth printer”. Windows will then try to automatically find an available network printer. At that point I stop the search by clicking on the “Stop” button, and the click on “The printer that I want isn’t listed”. The next step is important — it’s where a printer driver must be selected. Normally, the CUPS server knows what printer it has connected. In that case on needs to send print jobs in a format that the CUPS server can understand, like Postscript or PDF — the CUPS server will convert to the appropriate language understood by the printer. However, it might be the case that the CUPS server has a raw queue, in which case the CUPS client must sent the print job in the format that the printer can understand. If not using a raw queue on the CUPS server, select the “Generic” manufacturer, and then the “MS Publisher Color Printer”. This will cause the print job to be of type “application/postscript”, which CUPS can then convert to the right printer language. If using a raw queue on the CUPS server then select the appropriate printer driver so the Windows client sends the job in the format that the printer can understand. Note that I didn’t have luck using the “HP Color LaserJet 8500 PS” printer driver — it would generate a printer job in the “PJL encapsulated PostScript document text” format, which CUPS would have problems handling. But the “MS Publisher Color Printer” worked fine. The machine running our CUPS print server at home recently had to be replaced by another one. Today we had to set up a new CUPS client to print to the CUPS server running on the new machine. D [04/Dec/2016:16:30:58 -0500] cupsdSetBusyState: newbusy="Active clients and dirty files", busy="Dirty files"
D [04/Dec/2016:16:30:58 -0500] [Client 1] No authentication data provided. E [04/Dec/2016:16:30:58 -0500] [Client 1] Request from "[v1.2003:1480:eca5:1120:7e7a:91ff:febf:d3b2]" using invalid Host: field "printer.example.com:631". D [04/Dec/2016:16:30:58 -0500] [Client 1] Closing because Keep-Alive is disabled. D [04/Dec/2016:16:30:58 -0500] [Client 1] Closing connection. Aha! ‘Request from “[v1.2003:1480:eca5:1120:7e7a:91ff:febf:d3b2]” using invalid Host: field’! Now with an actual error message to search for I was able to find Debian bug #530027, which has as a “workaround” to set “ServerAlias *” in /etc/cups/cupsd.conf. After making that change and reloading CUPS things started to work. Note that the root cause of the problem is that the hostname of the print server changed, and the CUPS client was using the hostname of the old server via a DNS CNAME. Beats me why such an error message is not produced unless the CUPS logging level is set to “debug”. I keep getting bitten by this issue every time I set up a new printer on a new machine to print to a remote CUPS server that has the physical printer connected to it (via USB, for example), and every time I run into the same problem it takes me a little while until I remember what the probblem is. So, I have decided to document the problem (and the solution) for next time I run in the problem. The printer is correctly configured on the server, and by “correctly configured” I mean that the printer is using the correct driver, and that printing is working, both locally on the machine with the attached printer, and remotely on other clients. D [16/Oct/2016:21:25:45 -0400] [Job 2] Queued on "HP_Officejet_2620_series" by "username". D [16/Oct/2016:21:25:45 -0400] [Job 2] File of type application/vnd.cups-raster queued by "username". D [16/Oct/2016:21:25:45 -0400] [Job 2] Adding end banner page "none". D [16/Oct/2016:21:25:45 -0400] [Job 2] argv="HP_Officejet_2620_series"
D [16/Oct/2016:21:25:45 -0400] [Job 2] argv="2"
D [16/Oct/2016:21:25:45 -0400] [Job 2] argv="username"
D [16/Oct/2016:21:25:45 -0400] [Job 2] argv="Untitled Document 1"
D [16/Oct/2016:21:25:45 -0400] [Job 2] argv="1"
D [16/Oct/2016:21:25:45 -0400] [Job 2] argv="job-uuid=urn:uuid:09c01fb4-c9b4-39de-6e4c-3d33a0710d25 job-originating-host-name=[v1.2002:4170:e35:1:81ae:ffff:ffff:83a7] date-time-at-creation= date-time-at-processing= time-at-creation=1476667545 time-at-processing=1476667545"
D [16/Oct/2016:21:25:45 -0400] [Job 2] argv="/var/spool/cups/d00002-001"
D [16/Oct/2016:21:25:45 -0400] [Job 2] envp="CUPS_CACHEDIR=/var/cache/cups"
D [16/Oct/2016:21:25:45 -0400] [Job 2] envp="CUPS_DATADIR=/usr/share/cups"
D [16/Oct/2016:21:25:45 -0400] [Job 2] envp="CUPS_DOCROOT=/usr/share/cups/doc"
D [16/Oct/2016:21:25:45 -0400] [Job 2] envp="CUPS_FONTPATH=/usr/share/cups/fonts"
D [16/Oct/2016:21:25:45 -0400] [Job 2] envp="CUPS_REQUESTROOT=/var/spool/cups"
D [16/Oct/2016:21:25:45 -0400] [Job 2] envp="CUPS_SERVERBIN=/usr/lib/cups"
D [16/Oct/2016:21:25:45 -0400] [Job 2] envp="CUPS_SERVERROOT=/eD [16/Oct/2016:21:25:45 -0400] [Job 2] envp="PRINTER=HP_Officejet_2620_series"
D [16/Oct/2016:21:25:45 -0400] [Job 2] envp="PRINTER_STATE_REASONS=none"
D [16/Oct/2016:21:25:45 -0400] [Job 2] envp="CUPS_FILETYPE=document"
D [16/Oct/2016:21:25:45 -0400] [Job 2] envp="FINAL_CONTENT_TYPE=printer/HP_Officejet_2620_series"
D [16/Oct/2016:21:25:45 -0400] [Job 2] envp="AUTH_I****"
D [16/Oct/2016:21:25:45 -0400] [Job 2] PID 5259 (/usr/lib/cups/filter/hpcups) stopped with status 1. D [16/Oct/2016:21:25:45 -0400] [Job 2] Hint: Try setting the LogLevel to "debug" to find out more. D [16/Oct/2016:21:25:45 -0400] [Job 2] PID 5260 (/usr/lib/cups/backend/hp) exited with no errors. D [16/Oct/2016:21:25:45 -0400] [Job 2] printer-state-message="Filter failed"
D [16/Oct/2016:21:25:45 -0400] [Job 2] envp="CUPS_STATEDIR=/run/cups"
D [16/Oct/2016:21:25:45 -0400] [Job 2] envp="HOME=/var/spool/cups/tmp"
D [16/Oct/2016:21:25:45 -0400] [Job 2] envp="PATH=/usr/lib/cups/filter:/usr/bin:/usr/bin:/bin:/usr/bin"
D [16/Oct/2016:21:25:45 -0400] [Job 2] envp="SERVER_ADMIN=root@server.example.com"
D [16/Oct/2016:21:25:45 -0400] [Job 2] envp="SOFTWARE=CUPS/2.2.1"
D [16/Oct/2016:21:25:45 -0400] [Job 2] envp="TMPDIR=/var/spool/cups/tmp"
D [16/Oct/2016:21:25:45 -0400] [Job 2] envp="USER=root"
D [16/Oct/2016:21:25:45 -0400] [Job 2] envp="CUPS_MAX_MESSAGE=2047"
D [16/Oct/2016:21:25:45 -0400] [Job 2] envp="CUPS_SERVER=/run/cups/cups.sock"
D [16/Oct/2016:21:25:45 -0400] [Job 2] envp="CUPS_ENCRYPTION=IfRequested"
D [16/Oct/2016:21:25:45 -0400] [Job 2] envp="IPP_PORT=631"
D [16/Oct/2016:21:25:45 -0400] [Job 2] envp="CHARSET=utf-8"
D [16/Oct/2016:21:25:45 -0400] [Job 2] envp="LANG=en_US.UTF-8"
D [16/Oct/2016:21:25:45 -0400] [Job 2] envp="PPD=/etc/cups/ppd/HP_Officejet_2620_series.ppd"
D [16/Oct/2016:21:25:45 -0400] [Job 2] envp="RIP_MAX_CACHE=128m"
D [16/Oct/2016:21:25:45 -0400] [Job 2] envp="CONTENT_TYPE=application/vnd.cups-raster"
D [16/Oct/2016:21:25:45 -0400] [Job 2] envp="DEVICE_URI=hp:/usb/Officejet_2620_series?serial=CN4654G2BG0600"
D [16/Oct/2016:21:25:45 -0400] [Job 2] envp="PRINTER_INFO=HP Officejet 2620 series"
D [16/Oct/2016:21:25:45 -0400] [Job 2] envp="PRINTER_LOCATION=My desk"
D [16/Oct/2016:21:25:45 -0400] [Job 2] envp="PRINTER=HP_Officejet_2620_series"
The problem is that “Filter failed”, and my understanding of the root cause of the problem is that the printer is configured on the client with the correct make and model for the printer that is physically connected to the server. So, if the printer is, for example, an Hewlett-Packard printer, the client will render the print job and send to the server the rendered job. The server is expecting the job in some other format (Postscript? PDF? It’s not important) and when it receives it in rendered format, for the exact printer make and model, then the filter on the server fails to render the print job. The solution is to configure the printer on the client as a “raw” printer, i.e. a printer where the printer driver is not specified. This way the client sends the job “unrendered” and lets the server do the rendering according to the correct printer driver that is installed (on the server). I remember that when I first ran into this problem it was not easy to figure out what was wrong. I enabled all the debugging knobs that I could find and nothing helped. It probably was some post to some random blog or Internet forum what gave me a clue, but it was not easy to find. And to add insult to injury, using the Printer control panel on Ubuntu to modify the default settings of a printer (on a CUPS client), would change the local printer configuration from “raw” to a specific make and model, which would then trigger the problem explained above. This made me scratch my head and waste hours trying to get a previously working printer that stopped working to working state again. No matter what I did I could not get an IPsec site-to-site tunnel going between an offsite test network and our Microsoft Azure virtual network. Our VPN gateway is a Cisco ASA 5506. Apr 19 09:21:42 [IKEv1]IP = 13.94.202.38, Duplicate first packet detected. Ignoring packet. Apr 19 09:21:43 [IKEv1]IP = 13.94.202.38, Duplicate first packet detected. Ignoring packet. Apr 19 09:21:46 [IKEv1]IP = 13.94.202.38, Duplicate first packet detected. Ignoring packet. Apr 19 09:23:06 [IKEv1 DEBUG]Group = 13.94.202.38, IP = 13.94.202.38, Active unit receives a delete event for remote peer 13.94.202.38. “MM_WAIT_MSG3, EV_TIMEOUT” indicates that the Cisco ASA timeout waiting for the Azure VPN gateway. “Duplicate first packet detected. Ignoring packet” indicates that the Azure VPN gateway is not liking the previous message that the Cisco ASA sends. Increasing the debug level (not shown above) indicates a mismatch in terms of cookies, and this is apparently what upsets the Azure Virtual Network Gateway. After spending sometime troubleshooting the Cisco ASA side we could not find anything wrong with the Cisco ASA configuration. Network Gateway and that seems to have fixed the issue for good. The process to reset an Azure Virtual Network Gateway is a bit tricky because there is no way to do that using the Azure Portal; it needs to be done using PowerShell instead. Select-AzureRmSubscription -SubscriptionName "<your subscription name>"
Apparently, Azure Virtual Network Gateways are redundant Virtual Machines so resetting one will cause the other to take over. The other one could be reset by invoking “Reset-AzureRmVirtualNetworkGateway” a few minutes after the first gateway has been reset but in my case the site-to-site VPN tunnel came up after resetting only one of the gateways. be used if the classic deployment model is used instead. is a good reference for how to reset Azure Virtual Network Gateways that have been deployed using the classic deployment model. Note that it says that the same cannot be done for the Resource Manager deployment model but I think the capability is there now (I used it) and it is just that the article has not been updated yet. On a related note, I should mention that another way of dealing with this problem is by deploying a Cisco ASAv virtual appliance and using that to terminate the site-to-site IPsec tunnel instead of terminating it on the Microsoft-provided Azure Virtual Network Gateway. This of course would be more expensive given that licenses for the Cisco ASAv would have to be purchased, plus it is another Virtual Machine that would have to deployed (and pay for). We recently had a need to inspect the contents of an HTTPS (SSL/TLS) connection. As we had never had the opportunity to set things up to facilitate decryption of SSL/TLS connection we had to do a little bit of research. The way we approached this was by running the software that establishes the HTTPS connection we need to decrypt on a VirtualBox Virtual Machine (VM), and then running a Man-in-the-Middle (MitM) proxy on the VM host, which runs Ubuntu 15.04. The MitM proxy that we used was mitmproxy. No reason in particular for choosing mitmproxy other than it was the first solution that we tried, it was very well documented, and it worked on first try. We are very impressed with this little piece of software — its design is well thought, and the text-based user interface is very powerful. This post documents the steps involved in setting things up for decryption of SSL sessions. There are several possible network topologies to use. The one that we chose was one where the client machine and the proxy machine are on the same physical network. Because we are using VirtualBox, where the Virtual Machine is the client machine and the Virtual Machine host is a physical machine, we configured the network settings of the (client) Virtual Machine to use bridged networking. This is equivalent to having two different machines on the same physical network segment. Note: Our proxy machine (not a Virtual Machine) only had a wi-fi network interface so the Virtual Machine, through bridged networking, was using this wi-fi network interface to reach the network. Nothing much to do here, really, as there is an Ubuntu binary package for mitmproxy, so installation boils down to a simple “apt-get install mitmproxy”. The network interface of the virtual machine must be configured in bridged mode. The VM host machine only needs one interface (for example, the wireless NIC “wlan0”). That interface will be used for both the VM host and the actual VM to have network connectivity. Make sure the VM NIC is configured to use the VM host NIC as the bridge interface. Also, VirtualBox must be configured to allow promiscuous mode on the bridge interface. This is configured in the “Advanced” section of the network adapter properties (where the interface mode [bridged, NAT, etc.] is configured). “Allow VMs” for the “Promiscuous Mode” setting is appropriate. 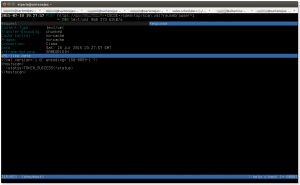 Configure the machine running mitmproxy (the proxy machine) as the default gateway. This will cause all SSL/TLS traffic going towards the server to be sent through the proxy machine, assuming that the server is on a different (remote) subnet. Install the Certificate Authority certificate that the proxy machine will present to the client when the client establishes SSL/TLS sessions. mitmproxy really shines in this area, making the certificate installation a very seamless process. We will not repeat here the excellent documentation on how to do this. Instead, we will point readers to the documentation: http://mitmproxy.org/doc/certinstall.html. The default gateway of the client machine must obviously be the proxy machine. The easiest way to accomplish this is by configuring manually the TCP/IP settings of the client machine. If DHCP is used for IP configuration then the default gateway will be whatever the DHCP sends, which might be different from the IP address of the proxy machine. In that case the client machine can be forced to use the proxy machine as its default gateway by adding a new default route using a lower metric, for example: ip route add default via <IP address of proxy machine> metric 50. Once the machine running the mitmproxy software (the “proxy” machine) and the machine running the SSL/TLS client (the “client” machine) are configured, we are ready to establish the SSL/TLS sessions that we want to decrypt — just open your browser and go to the https:// URL you are interested in examining, launch your SSL VPN client, etc. The proxy machine will intercept the connection and do what it does well, i.e. pretend to the server to be the client, and pretend to the client to be the server, while decrypting traffic going in both directions. mitmproxy provides a fantastic text-based user interface that allows the user to easily navigate through each SSL/TLS request and response going through the proxy. And that is it; there really isn’t anything to it. It took longer to read the mitmproxy documentation than to set things up and run the SSL/TLS session. From the main mitmproxy window, all flows can be saved to a file for later analysis by pressing the ‘w’ (write) key, which will prompt if all flows must be saved or just the one at the cursor, and the name of the file to save the flows to. 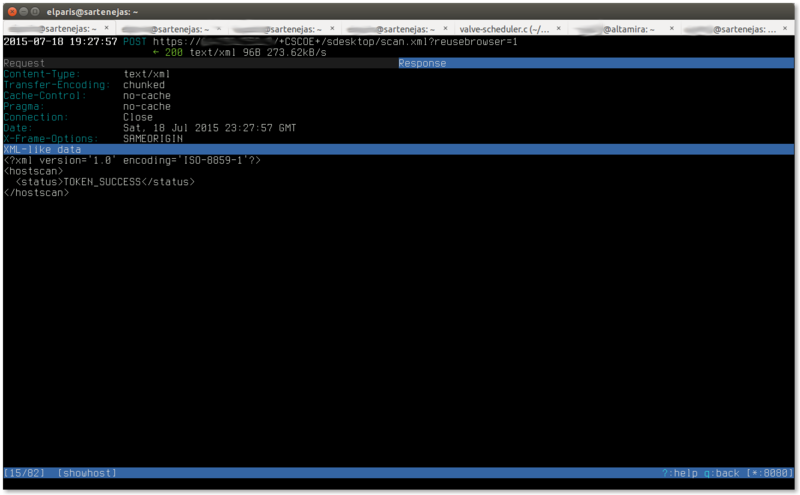 Flows can be loaded later by running mitmproxy with the -r (read) switch. Be aware of mitmproxy bug 659 (https://github.com/mitmproxy/mitmproxy/issues/659). This bug causes HTTP HEAD requests to return a Content-Length equal to zero instead of the correct value. This will cause some applications to fail as they will think there is nothing to download. This trip me up pretty good until I found the previously mentioned bug and I applied the fix that was committed to resolve the bug. I have a pretty common requirement: authenticate wireless users against Active Directory and prevent SSID cross-connections, i.e. users in Active Directory group A can only connect to SSID A and users in Active Directory group B can only connect to SSID B.
I have seen plenty of messages in the freeradius-users mailing list archives about how to accomplish this. The authentication part is easy and has excellent documentation, e.g. The group checking part is also well understood and documented (rlm_ldap), and whoever asks apparently gets told to use LDAP. At least I could not find anything on the alternate approach described here. I decided to look into a different approach, which does not involve LDAP — because the machine already has winbind running (for ntlm_auth), why not to use the Name Service Switch and rlm_unix to check for group membership and avoid usind LDAP altogether? Group membership information is already available if one has added “winbind” to “passwd” and “group” in /etc/nsswitch.conf. # with the number of backslashes. Reply-Message = "User not allowed to join this wireless network"
This works if the EAP identity is “DOMAIN\username”. However, I did not want to make things unnecessarily complicated for my users and wanted them to be able to enter just “username” when they configure their devices. The main issue to address, however, is that if the identity is entered as “username” (not “DOMAIN\username”), the group check will fail because the Unix user ID for users that are known to the system via winbind is “DOMAIN\username”, not “username” (see output from the “id” command above). “Not a problem”, I thought, “I’ll just manipulate User-Name before anything happens and prefix it with “DOMAIN\”. Turns out that was a bad idea because that made User-Name different than the EAP identity hidden in the EAP message, which caused the “rlm_eap: identity does not match User-Name, setting from EAP identity” message that has bitten so many people before. The solution I came up with was to still manipulate the User-Name but towards the end, in the post-auth section, instead of at the beginning. This way EAP uses the right identity, but the rlm_unix Group check uses the correct “DOMAIN\username” User-Name. # If User-Name doesn't contain our domain then add it. I do not know about the performance impact but this should not require additional network traffic to check for group membership because winbind caches this information. Another possible advantage is redundancy: Using winbindd (I theorize, I am not sure about this) provides redundancy because the group membership comes from the domain controller, which is found using DNS lookups — if a controller goes down then another (hopefully) takes its place and winbindd will be able to find it with no configuration changes. This approach seemed simple to me — no additional configuration other than manipulating the User-Name in the post-authentication phase. Things can also be made to work if the user chooses to configure the supplicant with “DOMAIN\user” as the identity — in this case one needs to configure “with_ntdomain_hack = yes” in modules/mschap, create an empty “DOMAIN” realm in proxy.conf, and enable the ntdomain realm in the authorize section of sites-enabled/inner-tunnel. Doing this will allow both “DOMAIN\user” and just “user” to work. I have this being used in production on a small network (less than 50 users) and have not encountered any show stoppers yet. If you read the freeradius-users thread referenced at the top of this post you will notice that modifying User-Name is discouraged. I was told to use Stripped-User-Name instead but I never had a chance to go back and look into it. Caveat emptor. Update May 22, 20016: I had to set up another Linux server for winbindd. I ran into a couple of minor problems that took me some time to troubleshoot and fix. First, it seems like the Ubuntu 14.04 upstart script configures the wrong winbindd privileged directory — instead of /var/lib/samba/winbindd_privileged/ it configures /var/run/samba/winbindd_privileged/. The fix is to edit the upstart job configuration file (/etc/init/winbind.conf) and change it to use the correct directory path. Second, “wbinfo -a user%password” will not work when testing things (as suggested at the deployingradius.com page above) unless the user running wbinfo is a member of the group “winbindd_priv”. And third, running “radtest -t mschap paris mG2eudPas 127.0.0.1:18120 0 testing123”, also suggested at the deployingradius.com page above, will not work unless the user the FreeRADIUS daemon run as is a member of the group “winbindd_priv” — this is also required for correct FreeRADIUS operation. So, it is minor issues but they can be a hassle to troubleshoot. The list of MIBs supported by the Cisco ASA is documented here. That does not mean that another MIB cannot provide the information we are looking for. 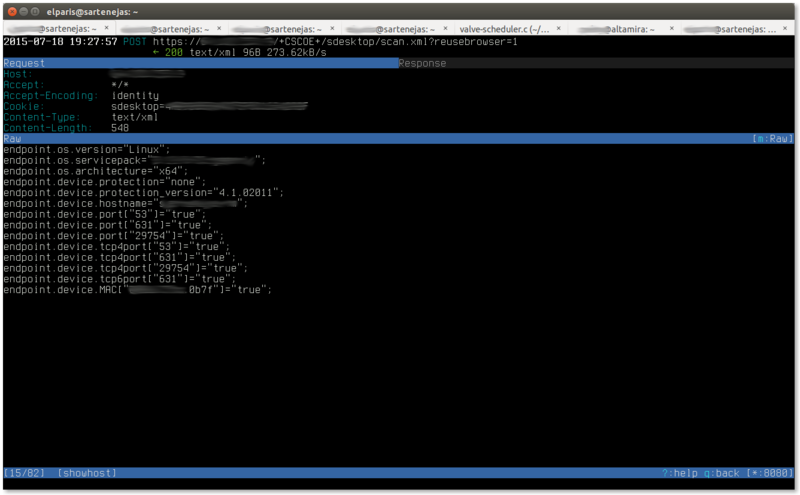 However, the “sh snmp-server oidlist” command doesn’t show any promising OIDs so it seems like we are out of luck.